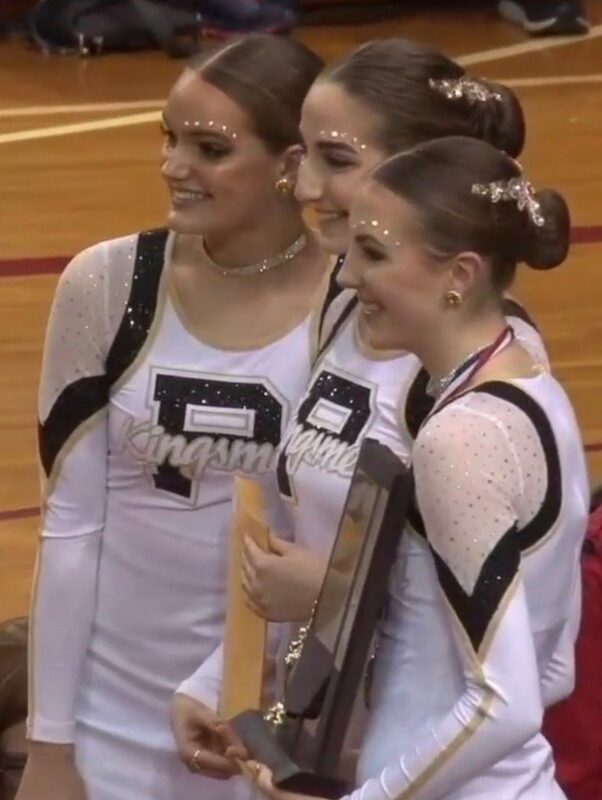 On March 12, 2019, Penn’s Poms team won fourth place in the state championships–no small feat, given the steep competition, and the comeback Poms made this winter. PNN spoke with Poms coach Cindi Minegar to talk about the team, the sport, and all the twists and turns of the season. Cindi Minegar has been coaching Poms since she was 18 years old, making this her 45th year with the sport. She’s coached at Mishawaka High School, Marian High School, and St. Joe High School, but she’s been with Penn since 1994. This year, she was especially optimistic in her high-skilled team. “Going into the competition season, I had really high expectations,” she explained. By all accounts, this last season was a success for the Poms team–a rocky start, with a big finish. But there’s more to Poms than that. One of the greatest successes of the season is Rachel Wobbe, a senior on the team whose solo performance won her sixth place in the state and a spot on the all-state team. With such a rocketing success at the end of the season, what’s next for the Poms team? “Poms has come so far,” Minegar said. “I’m losing 7 seniors [this year]. Seven seniors on a team of eighteen. They were great leaders–they all took the responsibility and helped make this team what it was.” The future of Poms depends on the results of the upcoming tryouts in April.